This week we had the opportunity to visit the Shorinji Kempo dojo here in Omura and learn the world practiced martial art Shorinji Kempo. 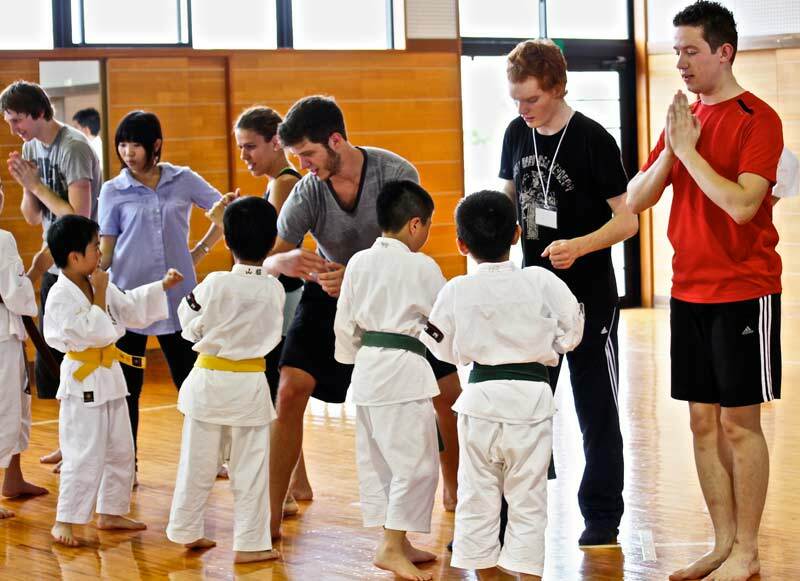 We first had the chance to learn the history, culture, and reason for the martial art. The Sensei’s (teacher) that was speaking is now a 8th degree black belt in Shorinji Kempo. It was great to hear the story of why Shorinji Kempo was created because it’s a great way to feel more connected to why we were learning the moves. 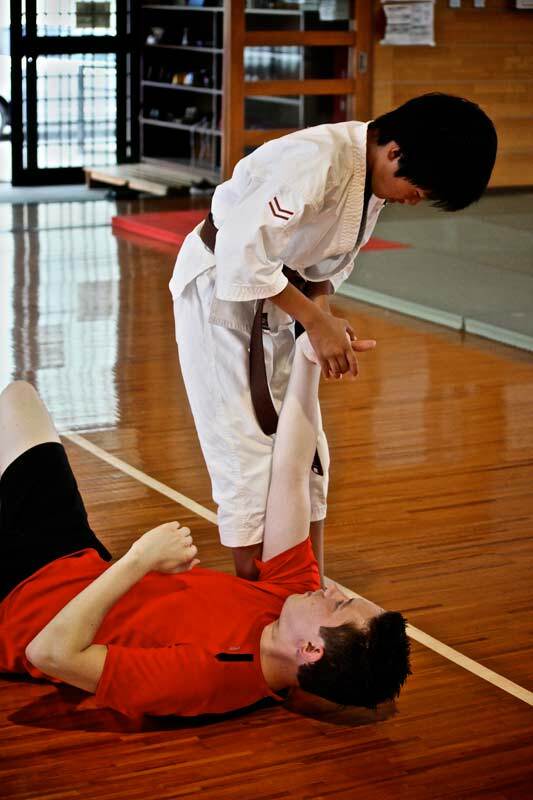 Shorinji Kempo is a young Japanese martial art compared to some of the others. In 1947 Doshin So founded Shorinji Kempo in the town of Tadotsu, Kagawa prefecture. Doshin’s motivation for creating Shorinji Kempo was to bring the spirit of Japan back up after World War II. During that time in Japan the rules of society, the economy, and people’s hearts were in turmoil. Doshin So’s then awakened to the knowledge that “all things depend on the quality of the people who stand in the positions of influence.” He considered that to build a peaceful world “there is no other way than to cultivate, in as many people as possible, deeply rooted compassion, great courage, and a strong sense of justice.” This is just a small portion of Doshin So’s Philosophy to the martial art and Shorinji Kempo is now taught in over 34 countries worldwide and is growing fast. So after the verbal briefing now was the time to learn first hand some Shorinji Kempo technics (all are self defense based). At first seeing the groups of kids anywhere from 6 to 13 years olds that we’ll be sparing with I thought this shouldn’t hurt too much, about 10 seconds later I was on the group quite in pain and might have lost my confidence. Luckily I looked around and almost all of us from World Campus Japan were in the same position. It was great to learn the technic from the kids because of their great spirits and patience with teaching us. 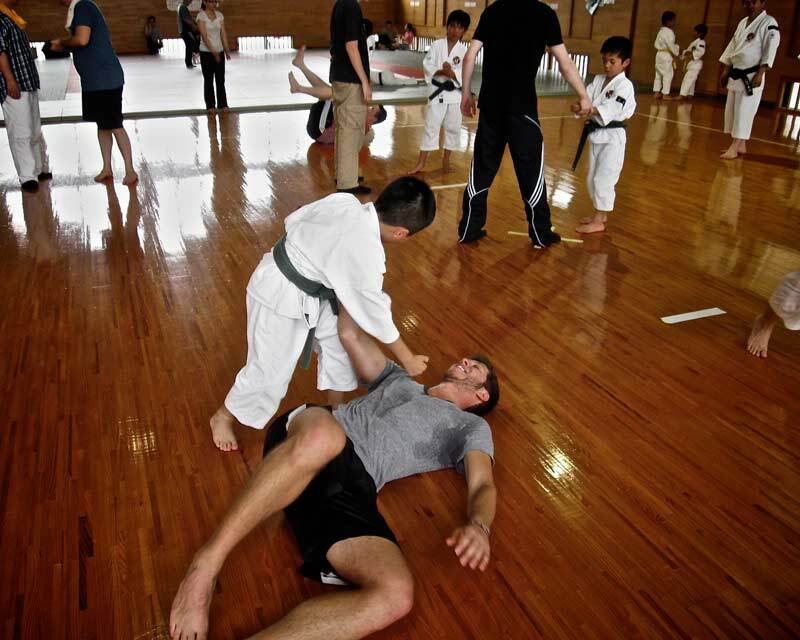 Not to mention getting thrown around by a boy half my size was very enlightening. It was a day filled with fun, learning, and much soreness afterwards.